Click on any of our product lines of folder sealers pressure seal machines, pre-glued mailer forms and checks, OMR scanners, and application software for custom document mailing. Feel free to call us for more information. The Print to Mail™ Spirit - lower volume / lower priced but still packing a performance punch with 1,800 documents folded and sealed per hour. The Print to Mail™ Zephyr - Performs all the standard folds ,and at 3,000 documents folded and sealed per hour, the Zephyr is perfect for low to medium volume processing. 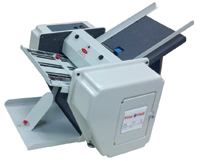 The Print to Mail™ Endeavour - Same machine as the Zephyr but includes a document counter. 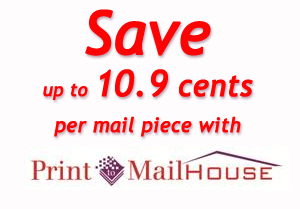 The Print to Mail™ Flyer - Affordable medium volume folder, sealer. 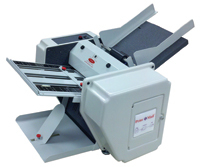 Includes , as standard, a 250 sheet output conveyor. The Print to Mail™ Bullet - Need speed and processing power? The Bullet folds and seals up to 7,000 documents per hour and has a 80,000 per month duty cycle. The Print to Mail™ Rocket - Top of the line in features and processing. Up to 10.000 documents folded and sealed per hour and a 500 sheet output conveyor. The Print to Mail™ accessory attaches to your HP Laser Jet M604, M605, M606 series laser printers to print, fold and seal in one easy step. Perfect for lab results and appointment reminders, grade reports, PIN mailings, employee tax forms, checks and more. The Print to Mail™ accessory attaches to your HP Laser Jet M601, M602, M603 series laser printers to print, fold and seal in one easy step. The Print to Mail™ accessory automates office mailings like payroll checks, accounts payable checks, statements, invoices, grade reports, student schedules and W-2's. The Print to Mail™ accessory attaches to your HP Laser Jet 4000, 4050, 4100(n) printer to print, fold and seal in one easy step. A flip of the rear door resumes your printer's normal functions. Use for report cards, checks, tax forms, invoices, statements, and other office mailings. The Print to Mail™ accessory attaches to your HP Laser Jet 4200/4300/4250/4350(n)(tn) printer to print, fold and seal in one easy step at speeds up to 2,700 documents per hour. Use for report cards, checks, tax forms, invoices, statements, and other office mailings. 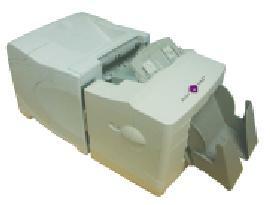 The Print to Mail™ 2 stand alone unit can be used with any laser printer.